It’s never easy to find a new and gripping perspective to tell the story of a famous character, and that was the challenge Julian Schnabel faced in his portrayal of Vincent van Gogh. 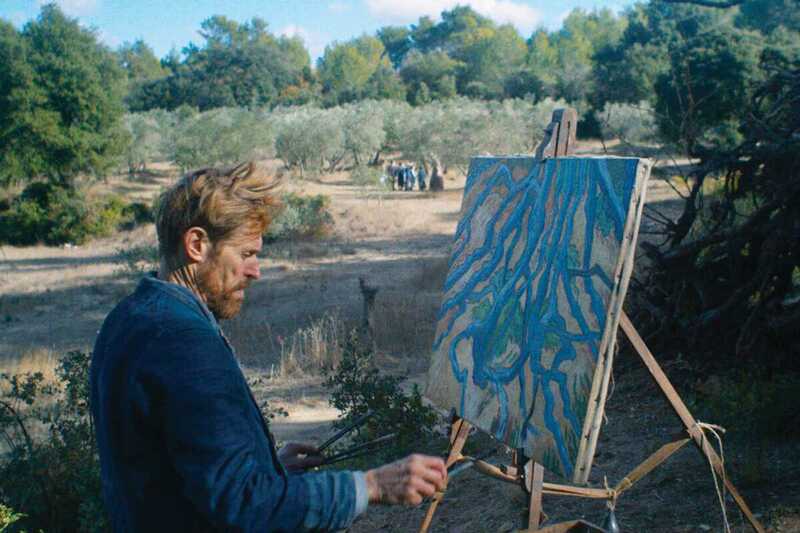 Having previously worked on other biographical films, including Basquiat, Before Night Falls and Lou Reed’s Berlin, the American director chose to adopt a new angle in At Eternity’s Gate, inviting the viewer to see the world as he imagined post-Impressionist painter Van Gogh did. With shots that try to grasp the light – and the emotions sprung by it – that the Dutch artist captured on his canvas, Schnabel’s choices at times work, and at others feel excessive. But his greatest triumph was casting Willem Dafoe. Delivering one of his best career performances, Dafoe becomes an instantly epic, tender, troubled and suffering Van Gogh, and this masterful characterization is what in the end holds the film together and makes it worth our while.